Are you ready for the fall season? Are you ready to prove it? 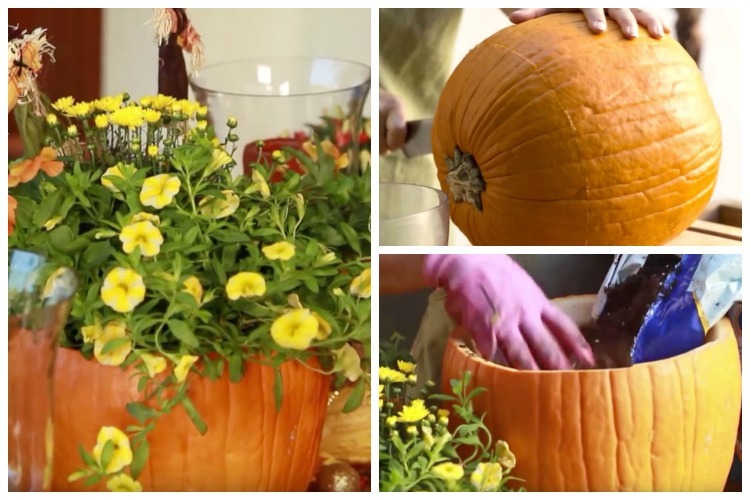 If so, you may want to try to create a pumpkin flower planter centerpiece for your table at home. This is the perfect way to show off your excitement for the season and create something that you want to take a look at all the time. To start, you will need a pumpkin that you can carve out and clean out quickly. This is the pumpkin that you will be using to create the centerpiece. After this, you will fill up that pumpkin with some potting mixture such as Miracle Grow. This will create a pot of sorts to put plants directly inside the pumpkin. Choose any plants that you like to put in the pumpkin pot. This works out great because you can customize it directly for your personality and the way that you want to live. It is recommended that you plant some plants that are orange, yellow, or white. These are the traditional fall colors and probably go best with the themes of the pumpkin itself. This is a natural collection that stands out and looks so much better than the things that are available in the stores. You can certainly stand out and create something unique for your house and for the season. You want to think about this and prepare for the season that you are so enjoying. This whole project is simple and easy to do and yet will impress your family and friends in so many ways. Do it today!